Hi, Kristi here from SweetKM. I have had my eye on the Mara blouse for quite a while, but it took the Summer of Mara to motivate me to make one. In my opinion the Mara blouse is all about the details. The pin tucks, the piping, the sleeve options, the button choices all allow the sewist to reflect her own personal style while still following a solid pattern design. For my version I chose a black and white stamped voile that I originally purchased for myself, but thought the sophisticated design of the Mara merited a grown up fabric. 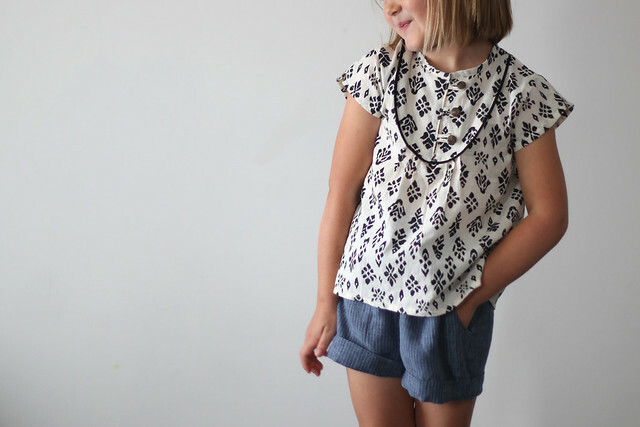 We chose the butterfly sleeve option because its my favorite and I think the classic styling will make this top a staple of my daughter’s summer wardrobe. I matched the button loops to the fabric of the body to really let the print be the dominant element of the outfit. 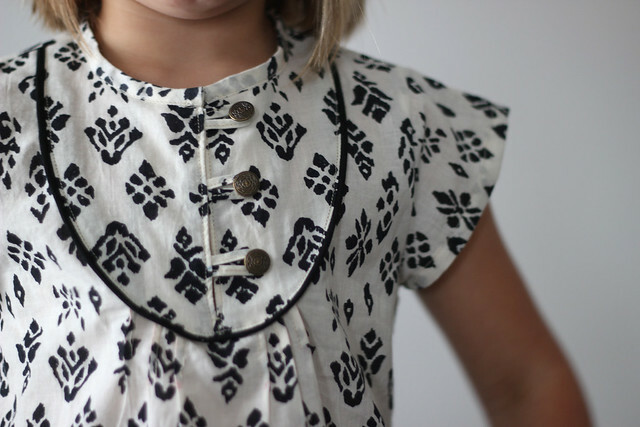 The embossed brass buttons pick up on the tribal feel of the voile print. My only accent is the self made black voile piping. 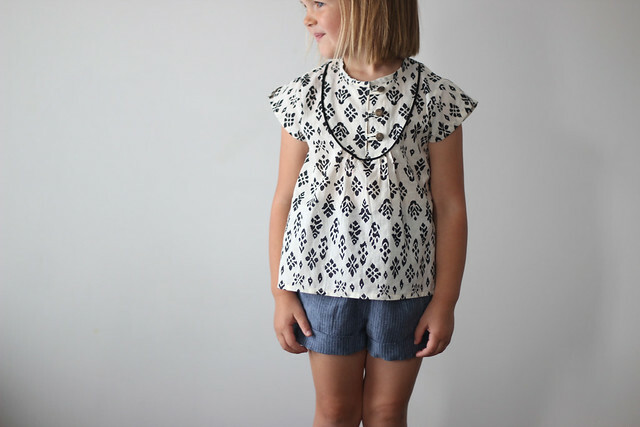 We love our Mara blouse, and I have plans for a chambray dress version for the fall. 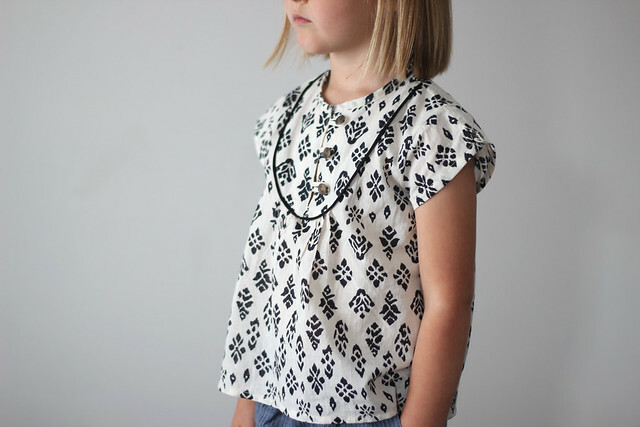 Stop by SweetKM (www.sweetkm.com) for more photos of our Mara blouse. I love this Mara Kristi! Your fabric choice to go with the pattern is fantastic – non-traditional and I love it! !